Hailed by critics as a singer with “lovely stage presence,” a “silvery tone,” and “exquisite mezza voce,” Canadian soprano Meghan Lindsay is enjoying a vibrant career. She begins the 2012/13 season with the role of Agathe in Opera Atelier’s Der Freischütz later this week. 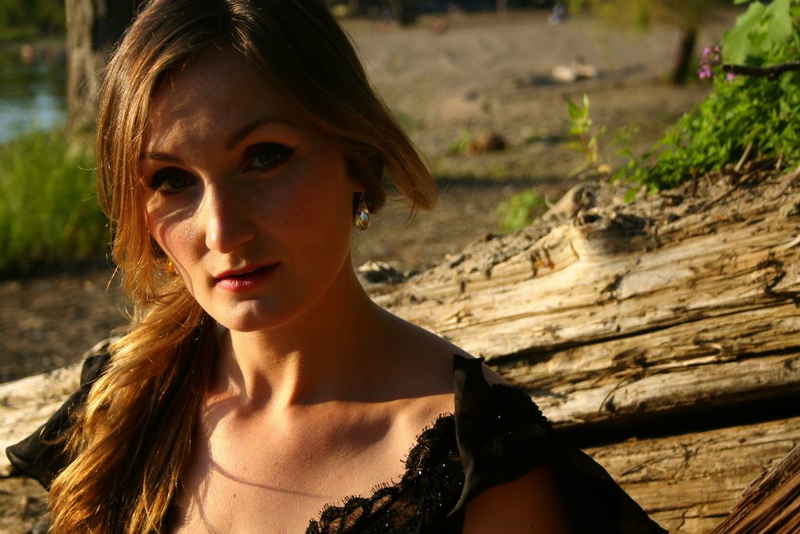 In 2011/12, Lindsay made her North American debut as Donna Anna in Opera Atelier’s Don Giovanni both in Toronto and in conjunction with Opera Colombus, with what the Toronto Star described as a “stunningly attractive stage presence married to the kind of crisp, clear sound that gives the role its true place in the score.” She continued the 2012/13 season with the role of Sidonie/Nymphe des Eaux in Opera Atelier’s production of Lully’s Armide in Toronto, The Royal Opera of the Palace of Versailles, and the Glimmerglass Festival. 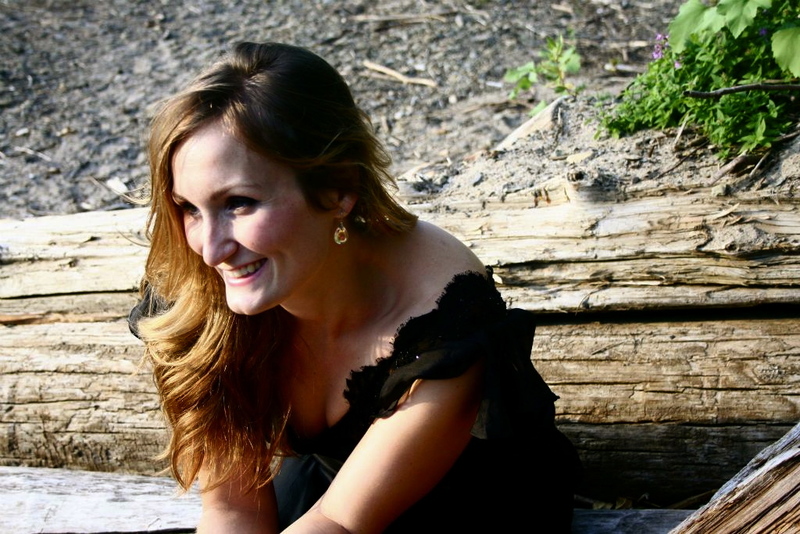 In 2010/11, Lindsay was a young artist with Opera Studio Nederland where she made her international debut as Euredice in Pierre Audi’s production of Monteverdi’s L’Orfeo and her Concertgebouw debut performing excerpts from Don Giovanni and Le Nozze di Figaro. That season, she performed the role of Fiordiligi in Opera Studio Nederland’s production of Cosi fan Tutte and Contessa in Opera on the Avalon’s Le Nozze di Figaro. She also performed the title role in Massenet’s Cendrillon, the premiere opera at Toronto’s Koerner Hall with the Royal Conservatory Orchestra. Other highlights include performing Richard Danielpour’s Sonnets to Orpheus under the baton of Paul Nadler at Joan Dornemann’s inaugural music festival, Viva Virginia. I ask Lindsay 10 questions: five about herself and five about her portrayal of the role of Agathe in the Opera Atelier production of Der Freischütz. I couldn’t say that I resemble one of my parents more than the other, but definitely share traits from each. One thing that my parents have in spades is their generosity, intelligence, and loyalty- I hope that I have inherited some of that from them! My Mom is a creative, witty, and incredibly giving woman. My Dad is a driven and considerate man with a contagious excitement for life. I think the biggest thing I have taken from my parents is the immense respect and love for family that they have instilled in me and my siblings- we are a pack. 2) What is the best thing / worst thing about being an opera singer? When I first began to sing, I was interested in music as a culmination of the many disciplines I had grown up to love. Music is literature, history, math, language, a creative output, physical and emotional expression- it really is the perfect intellectual balance. The more I have performed and grown as an artist, the more I appreciate music for all of these facets, but more importantly for its ability to give. It’s a universal method of communication that connects performers and listeners alike. I love that as a musician, I am able to forget about self and act as a vehicle to channel a composer’s creation to an audience. I believe strongly in the value of both verbal and non verbal communication and being a musician has brought that to the forefront of my interactions in my day-to-day life. There are so many nuances and colours that we seek to find in music and being a singer allows us to fine tune our senses and to value the responsibility of communication in life as well as on stage. Travel is probably one of the best things about being a singer, and in some regards, the worst. I absolutely LOVE the fact that we get to travel and see new parts of the world; however, distance can be draining on one’s personal life! It’s always about finding a balance between what I want in life and what I want in career- as long as they run parallel, I’m happy! Well, my guilty pleasure is youtubing pug dog videos (I know, it’s really strange.) I don’t really watch much television, but will unwind after a long rehearsal and watch Law and Order from time to time. As for music, I’m listening to a fair bit of early music these days- Jordi Savall and Paolo Pandolfo are two great viola da gambists that are on my IPOD. I also recently discovered a great singer of baroque Neopolitan songs, Pino de Vittorio, who totally blew my mind. As for my running playlist, it’s a pretty unique mix of Bebo and Cigala, Martin Sexton, Nina Simone, The Tallest Man on Earth, Van Morisson, and The Black Keys. I really wish I were a better piano player. I would also love to play the guitar. I really enjoy running and doing yoga. I also love to cook. I’m happiest when I can spend time with my boyfriend, my family and friends, and my pug dog, Luciano. Between contracts I normally find myself picking up unusual projects. Last year, I taught myself how to make reclaimed wood tables and landscaped my sister’s backyard. 1) How does singing the role of Agathe challenge you? Agathe is one of the bigger roles in the lyric repertoire, so the vocal demands alone are a great challenge. Weber’s writing demands a seamless line, long sustained pianissimo phrases, as well a great deal of agility and thrust. From a character perspective, it’s a challenge to make Agathe relatable to a modern audience. She is typically portrayed as being a very simple, pious heroine, when in fact she is a character of great humanity, resilience, and grace. 2) What do you love about Agathe and Der Freischütz: both the role & your part in this production? I simply love singing the music. Agathe’s writing is really quite a contrast to the rest of the opera. It harkens more toward Classicism than Romanticism in it’s orchestration- almost Mozartian at times. The lines I get to sing are simply stunning. As for my cast, I couldn’t be happier- it is a group of phenomenal artists, led by a fantastic creative team. We’re having a lot of fun! 3) Do you have a favourite moment in Der Freischütz? I definitely do and it’s the finale. The director has included a beautiful theatrical quote from one of the most famous ballets. You’ll have to buy tickets to see! 4) How do you relate to Agathe as a modern woman? Der Freischütz is really the story of two lovers trying to find themselves in the context of their relationship to one another and to the world around them. Although some of the 19th Century references may seem dated, the themes are very relevant to people’s romantic relationships today. Doubt, sacrifice, excitement, commitment, demonstrations and proclamations of love and worth- they are all issues that couples face on the road to a life together. As a modern woman, I relate to Agathe’s sensuality, her openness, her faith in her partner, and her faith in the world. 5) Is there an influential artist whose recording you’d care to name whose work you especially admire? One of my favourite recordings is Elizabeth Schwarzkopf’s recording of Strauss’ Four Last Songs with George Szell and the London Philharmonic Orchestra. I also love Regine Crespin’s recording of Ravel’s Scheherazade and Berlioz’s Nuits D’Eté under the baton of Ernest Ansermet. I admire the sensitivity and artistry of both of those singers. Opera Atelier’s new period production of Der Freischütz premieres Saturday night, October 27th at the Elgin Theatre, running until November 3rd. Hm, i wonder what the finale will be like? This entry was posted in Interviews and tagged Bebo and Cigala, Der Freischütz, Jordi Savall, Martin Sexton, Meghan Lindsay, Mozart, Nina Simone, Opera Atelier, Paolo Pandolfo, Pino de Vittorio, The Black Keys, The Tallest Man on Earth, Weber. Bookmark the permalink.